Whether you are looking to woo your Valentine, or simply celebrate with friends, this delicious cocktail is sure to satisfy the lover in you. A playful take on the classic gin cocktail, The King of Soho Pink Martini is a simply delectable smooth and colourful concoction that will tingle the taste buds and infatuate the senses. 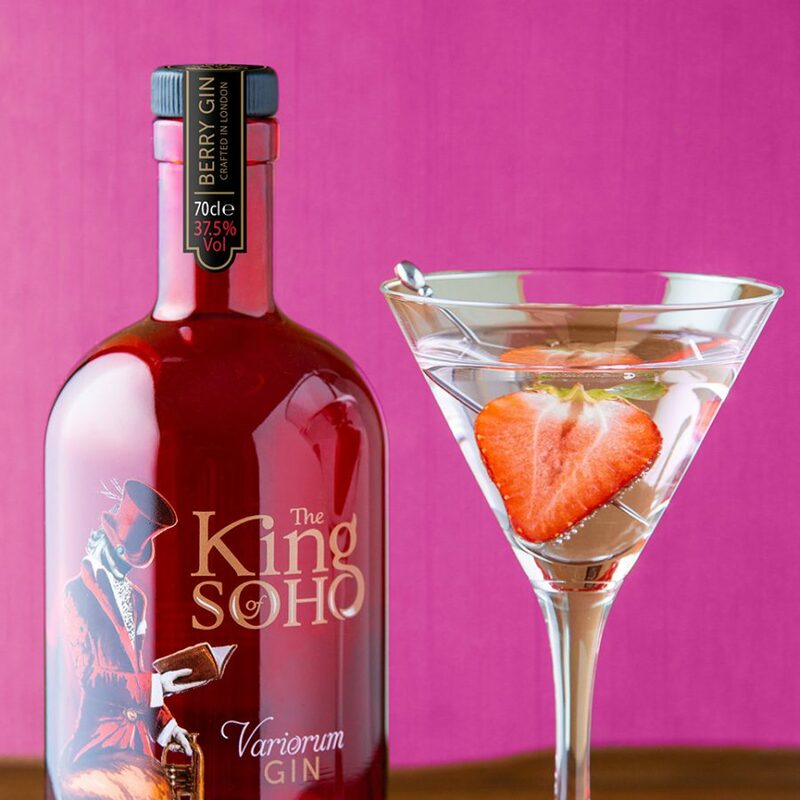 The Pink Martini, made with the King of Soho Variorum Pink Gin, is inspired by the playful and enigmatic streets of Soho and the King of Soho himself, Paul Raymond. Just one sip will infuse your taste buds with the notes of strawberry and chamomile, beautifully complementing the essential juniper and citrus flavours of the King’s original London Dry Gin recipe. Stir both ingredients in a mixing glass with a generous amount of ice, and strain into a chilled martini glass. Also if you are in the area, head to the Pop Up Gin Palace at 21 Great Windmill Street and try it for yourselves, until 22nd Feb.